Be The Person You Want Your Child To Become » Core Parenting - Parenting Resources in Portland, Oregon. You know, since writing this, I have become aware of how often I interrupt my children’s conversation with each other to get my own agenda met. Last night, the boys were playing in their room talking about very important things (Star Wars and Buzz Lightyear I presume) when I said something to them from the hallway. They made no indication that they heard me. When I realized I was interrupting them, I changed my behavior. I approached them, sat down close and waited for a pause in their conversation and said “excuse me.” They both looked at me and I told them what I needed. It worked! It was kind of amazing and such a different experience! Darci – I love this post and I love your example in this reply too. I just wrote about this last week on how we can change the way we choose to talk to our children, we can be interested so they may be interested, we can connect with them so they may want to connect with us. 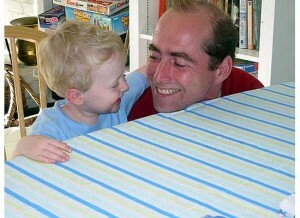 I have made a huge effort over the last years as my boys are growing and becoming fully immersed in their play and trying super hard not to interrupt but rather to join in, or at least politely enter into the conversation, much like I would like if they did in return, and no surprise, it works. Not too long ago at a birthday party I was chatting away with another mom and my 2 year old approached me, waited till there was silence, then tapped me gently and said “xcuse the ruption mama, i need you” so lovely! Sharing this post- it’s excellent! What a lovely example Ariadne! Thank you so much! So so true, love every word. great blog. Unfortunately for our family the please and thank you doesn’t work as easy as that. I am a total please and thank you freak, I say it too much probably and my son knows how to use it, say it, and he was good about it for a time but, these days he can remember the name of every dinosaur but he either can’t remember or choses not to say “may i have that please” instead of “gimme that”. I think we have to remember that instilling these types of foundational attitudes, beliefs and behaviors is a marathon not a sprint. Kids are negotiating lots of developmental challenges all at one time, and we cant expect them to always use all the skills they acquire. It will all come together in the end! This is very true Darci. I believe that what kids see, kids do and that’s why I agree to every word you said in this blog. I know lots of moms and dads will be able to learn a lot from this. Thanks for sharing this wonderful read. Really appreciate it. I wrote about this recently too, and used the same Gandhi quote. I’m adding a link to your article. Thanks, and I just read and loved your post as well. (Readers check it out at http://hakea.wordpress.com/2013/01/16/being-a-role-model/) I am so glad to have found your site! oh man – words straight to the core for me. 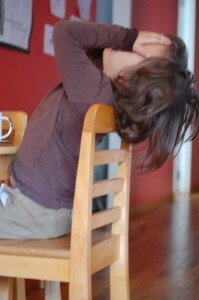 my little tot is 18 months and is in imitation mode all the live long day. she’s soaking my behaviour up like a sponge and giving it straight back. 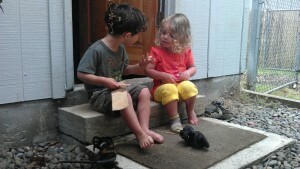 these little people teach us so much if we take the time to watch and listen. thanks for the timely words. Amazing isn’t it? Fun and frightening at the same time!!!! Thank you so much Vanessa. I love your website (deepbreathofparenting.com) so much and appreciate your stopping by here! Implementing consistently is hard for everyone I think. We have to be gentle with ourselves and realize that every time we do it, we are practicing and we get one little tiny step closer. Every time we catch ourselves not doing it and redirect ourselves we are modeling this for our children as well. It’s not just our children who are growing, it’s us as parents as well! I just found your reply to my note. Thank you for your message. For me, there is no path of self development like mothering. I appreciate all the support and inspiration I find along the way. I am really struck tonight how in so many ways we have lost the traditional “village model” of raising children. But, the possibility for global support, perspective and connection is vast. Thanks for making this so clear and applicable. I’ll be sharing! I find when we hit on larger truth that we see it everywhere. I notice the golden rule in parenting, in politics, even in our relation with the planet. Somehow, “do unto the earth as you would have the earth do unto you” makes more and more sense. Oh Laura, I love “do unto the earth as you would have the earth do unto you.” I have been thinking about that ever since I read your comment. What would I love the earth to do for me? Words that come immediately to mind: Nurture, provide, protect, support, grow, strengthen, connect, beauty. (Not surprisingly, also all things I would like to be connected to my parenting!) Moving through my community and days with these thoughts in mind would definitely impact the things I do to the earth. Thank you so much for sharing this thought! Hope it’s helpful in your debate. Honestly, while on one hand I wish that there was no need to debate the virtues of being kind and gentle to our children, I am so happy that the dialogue is at least happening! I would love to hear how your discussion transpires, keep me posted! Your blogs are awesome. Thank You!!! Our youngest son struggles with many health issues. When he was 15 months old, and sitting on my lap having electrodes pasted on his head for one of many tests that he has endured, he looked up at me and said, “Don’t you get it, I Gandhi”. He is very soft spoken and rarely uses phrases, and has never said anything like this before or since then. I decided soon after this happened to look up the word Ghandi with another word that is on my mind when I am feeling discouraged and the combination of “know Gandhi Portland” led me to this post and it is perfect. THANK YOU! of clans hack unlimited gems hack working proof play, new dota.